A major typo appears on the SMH front page on day one of Fairfax strike. This typo on the front page of one of Australia's biggest newspapers speaks volumes. 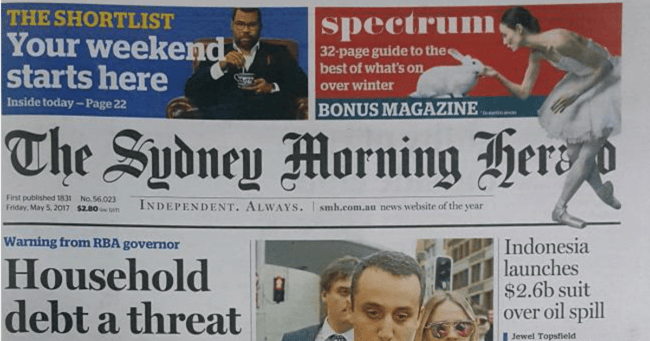 The strain of Fairfax’s current staff strike has come to a head after the Sydney Morning Herald published its Friday newspaper with a major typo appearing on its front page. ‘Household debt a threat to the ecomomy,” the headline read instead of ‘economy’. I guess spellcheck is on strike too! The mistake comes two days after Fairfax staff went on strike following the announcement management plans to cut up to 125 jobs across its Melbourne and Sydney offices in a mass redundancy – a quarter of its current staff. Downing tools and staging a walk out on Wednesday, it is believed there are just 10 people operating Fairfax’s online and print publications while the strike carries on. “There’s a skeleton staff in there right now mainly using wire copy to put together stories. 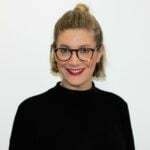 Literally, a handful, like 10 people who are exempt from striking in their agreements,” Fairfax journalist Marcus Strom told Channel 9 News following the walk out. Mr Strom also discussed the strike with the Daily Mail, explaining, “We’re not just concerned for our jobs. We’re actually concerned for journalism, and being able to hold politicians and businesses to account – which is what we do every day. “We want to send the message that you can’t do decent journalism without decently funded newsrooms,” Strom continued. The strike is expected to last for a full week.